North West Vietnam is always one of the most exciting and spectacular destination in Vietnam, as of it remains unspoiled and is a captivating blend of dramatic landscapes and colorful hill tribes. The traveling gems of Biking North West Vietnam comprises mountain stunning views, untouched culture discovery, multi-color lifestyle and costumes, heart-breaking routes, beautiful rice farm terraces, great trekking trails and photo hunting, and so much more. Therefore, a biking North West Vietnam into such untouched land is a great experience, not only at the beautiful views and new feelings at conversations en routes, but also at overcoming your own limit in challenging yourselves at long hills. Road type: mostly hilly everyday, mostly paved, just very rare semi-paved and soil roads. This is a mountain tour with some tough climbs and participants should be fit and experienced riders, with the ride of over 350 kilometers on paved road, semi-paved and even dirt tracks. The reward for riding in such un touched lands is quiet roads and magnificent views. For the lovers of riding in the mountains, this tour is the ultimate cycling adventure and highly recommended. 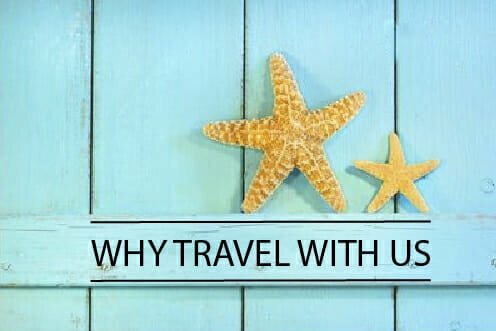 Accommodation is in standard tourist class hotels and the riders are supported by sturdy passenger vans. Watch our rules of road traffic in Vietnam to get ease with local style. Along the biking we get many stops to penetrate into local lives, control the group scattering, help the small leg regain the muscle strength, and make sure any support should be done. Accompanying the biking group are a tour guide, a van and a truck (to transport bikes). The bigger groups can be with more than one tour guide, bike repairer, doctor, big trucks plus big bus. However, there are some roads is only for bikes, evacuation plan if any will be made by boats or local tuktuk. 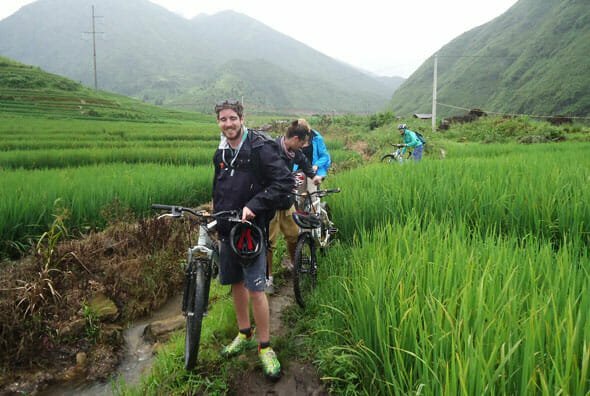 This tour is designed to bring flexibility for your time in Vietnam that if you have longer stay and wish to see more Vietnam, you can add Mekong 6 days biking or Central Highland Vietnam on bike 8 days, or both. The spectacular views of hills, especially Tram Ton pass. The visits to communities of hill tribes of Thai, Hmong, Red Zao and Tay along the bikings. The biking across huge rice fields, tea plantations. The visit of Dien Bien Phu battle field which is globally well known. Be welcomed by your tour guide at 3:00 PM in your hotel. Fit your body with your chosen bike among our collection and adjusted height of the seat. Have a briefing with our tour leader on the road, the must-know information, and the road notices. Take a transfer to Hanoi railway station for the night train to Sapa. Overnight on the train with soft beds at air conditioned carriage of four per room. The train arrives Lao Cai early in the morning. Transfer to Sapa and have breakfast. Start your gear and ride down to Sapa valley, enter small trails to the villages of black Hmong hill tribe. Have first impression on terraced rice fields, the colorful costumes among the green color of rice paddy fields and spectacular mountain view. Visit a local house and understand their culture. Have fun with children before riding back to hotel. Get on your bike after breakfast and ride to TaVan village. Go through the beautiful rice paddy fields along the river and continue until you reach the villages of Red Zao and Tay. Have a break and visit a local home in BanHo . Further biking to visit the waterfall and have a rest until you will be picked up by our supported vehicles unless you want to try cycle back to hotel. After breakfast, take a drive uphill of Tram Ton pass which is 2000 m from the sea level. Start your bike today with the ride toward Binh Lu. Stop by Chu Va village of Black Hmong for a break before arriving Binh Lu to have lunch in a local restaurant. Overnight in Lai Chau Old Town. Start a long ride with a comfortable road to Muong Lay. 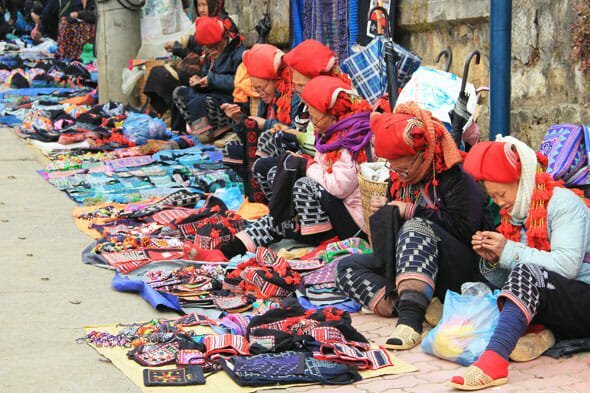 Take a walk around a local market of the local hill tribe people. After a picnic lunch, continue on the good road and the ride is even more enjoyable among the beautiful nature of mountains and huge rice fields, steam lines and bridges. Enjoy the downhill and then flat till arrival in Dien Bien Phu where we stay for overnight. Say goodbye to your bike as we don’t cycle the next day. After having breakfast, have an interesting bicycle trip around the town to visit famous historical sites such as Dien Bien Phu Museum, Glory Statue, A1 Hill and De Cattery Tunnel. Have lunch then take a transfer to airport to catch the flight back to Hanoi.